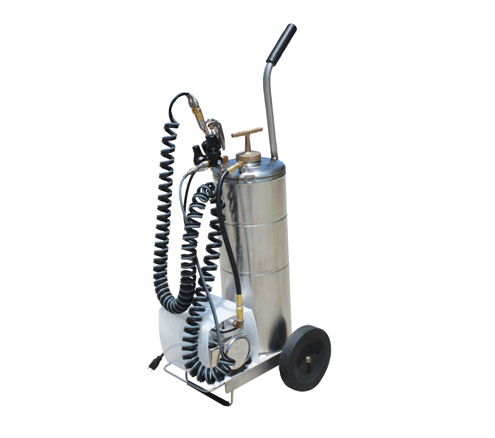 The B & G ULV Portable Aerosol System gives you deep wall void penetration, crack and crevice along with localised fogging capabilities and costs much less than competitive equipment. It has the capability of also doing a liquid only application for crack and crevice work or an air only application for use in a flushing operation. The stainless tank can be easily removed from case for cleaning or filling. It comes with a brass and stainless steel gun and the unit can be removed from case for spot treatments.